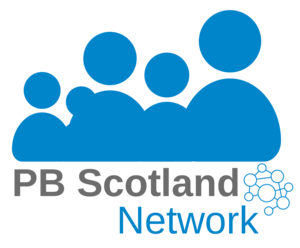 Last week, North Ayrshire Council launched one of Scotland’s largest ever online participatory budgeting exercises exclusively for young people. Around 21,000 Young people in North Ayrshire will be able to use Young Scot’s online voting platform to allocate £60,762 to youth projects in their local area. The funding will be split between multiple projects across six different localities: Kilwinning, Three Towns, Irvine, Garnock, North Shore and Arran. All young people aged 11 to 25 from North Ayrshire are eligible to vote using the single transferable vote method. Young people will use their Young Scot National Entitlement Card to register their decision – or they can obtain a temporary number to vote if they don’t have a card. The first £40,000 in funding came from North Ayrshire Council’s Youth Action Fund with the remaining £20,762 coming from the Scottish Government’s Community Choices Fund - an initiative to enable people to have a greater voice on local priorities. Local Government and Housing Minister Kevin Stewart said: “I am delighted to see more than £20,000 from our Community Choices Fund being put into action in North Ayrshire, giving young people the opportunity to vote on investment, shape the services they use and address the issues that are important to them in their area.